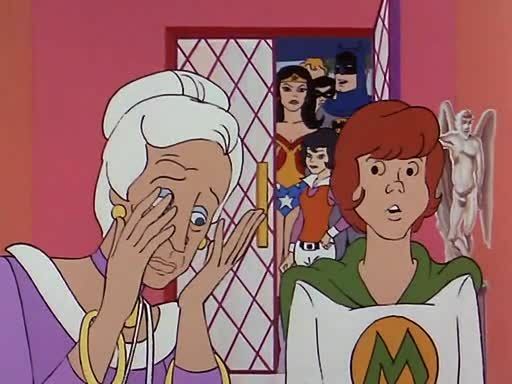 You are going to Watch Super Friends Episode 5 online free episodes with HQ / high quality. Stream cartoons Super Friends Episode 5 Online Dr. Pelagian’s War. After many reports of a talking albatross, Colonel Wilcox asks the Superfriends to round up the 3 industrialists who refuse to attend a meeting about pollution. An ecoterrorist named Dr. Pelagian has terrorized these three industrialists in an attempt to frighten them into stopping their polluting. Aquaman decides to investigate the identity of Dr. Pelagian based on a hunch he has about Dr. Ansil Hillbrandt, a brilliant marine biologist and the leading authority on the albatross. Aquaman also decides to search Point Gander, the place where Hillbrandt was last seen, and finds Prof. Hillgrant’s driving suit. Later the Junior Super Friends end up meeting with Prof. Ansil Hillbrandt, only to find out he faked his death and took to the sea where he has invented the technology that allows him to communicate with sea creatures and control the sea and the weather. Super Friends Episode 3 Professor Goodfellow’s G.E.E.C.